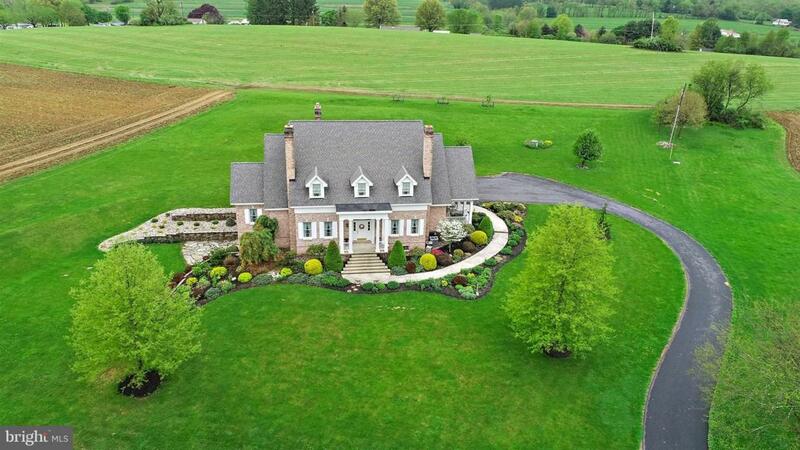 Perfectly situated on 20 private acres, this exquisite Colonial-style home commands attention with all the high-quality finishes and architectural detail throughout. Step inside where the open-flow lends itself equally to entertaining and comfortable daily living. 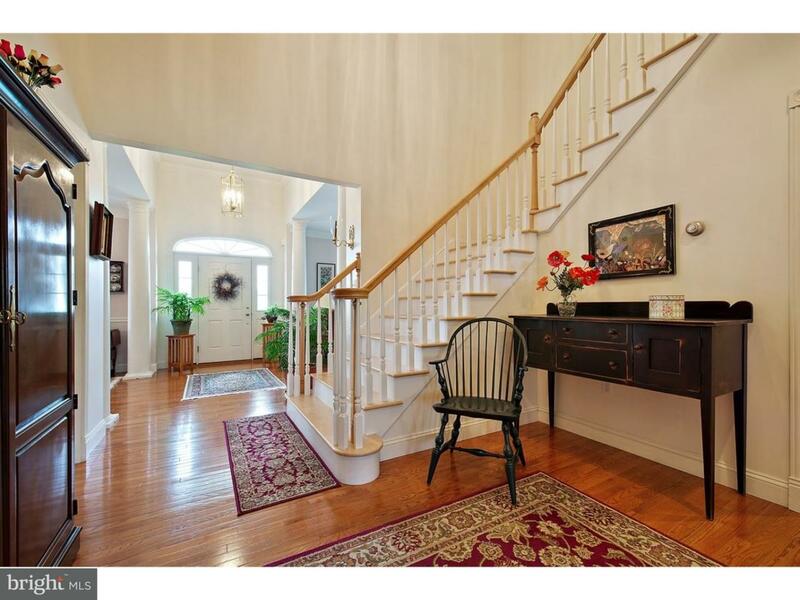 Bright open center foyer leading into formal Living Room and Dining Room with Chair Rail, Crown molding and a beautiful wood burning fireplace highlight both rooms. Spacious first floor Family Room with Cathedral Cedar ceiling, floor to ceiling brick fireplace and French doors leading to covered porch with panoramic views. Gourmet kitchen that would inspire the greatest chef features custom Cherry cabinets, Corian, center island with double oven, top of the line appliances, walk in pantry and tile flooring. Main level Master Suite features a propane brick fireplace, built-ins, his & her walk in closets, French doors leading to covered porch, an impressive Master Bath with whirlpool tub, walk-in shower, his and her vanities. Second floor offers privacy at is best with 3 bedrooms. A Junior Master Suite with separate sitting room, walk in closet and large custom bath. Bedroom #2 with private sitting area and walk in closet. Bedroom # 3 has access to private Jack and Jill bathroom. Open cat walk overlooking first floor family room. The lower level is finished with entertaining in mind, the perfect guest quarters or in-law suite including a fully appliance 32 handle kitchen, living room which leads to a flagstone patio, bedroom with walk in closet & a full tile bath. Enjoy the peacefulness sitting at your Koi pond while taking in the 360 degrees of breathtaking view. Property is in Clean and Green. Additional 35+ acres available for purchase.